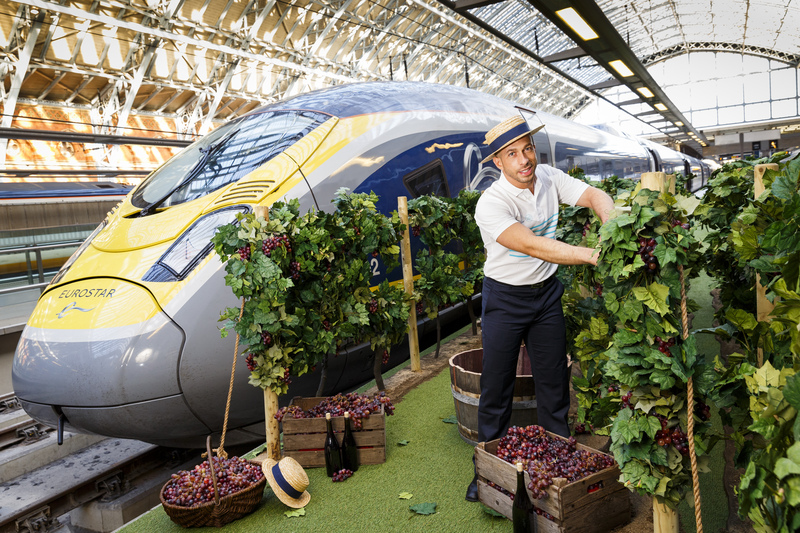 Eurostar, the high-speed rail service linking the UK and mainland Europe, is celebrating the first anniversary of its popular direct service from London to Lyon and the South of France, which has sold over 182,000 tickets since launch. 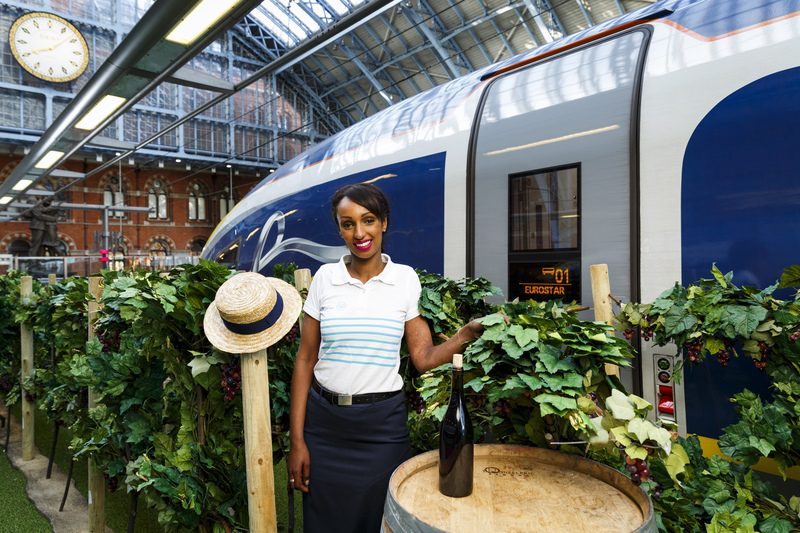 The platforms at London St Pancras have been transformed into lush vineyards to mark the milestone and showcase the wine tasting regions within easy reach of London. With the popular Beaujolais, Rhône Valley and Burgundy vineyards close to Lyon and the famous rosé region of Provence near Avignon, Eurostar travellers can be enjoying fine wine in just over four and a half hours. As the vineyards prepare for the annual grape harvest in September, now is the perfect time to book a trip. Eurostar has seen exceptional demand for the South of France route in its first year, as passengers are drawn to the wide-ranging gastronomic and cultural attractions of Lyon, Avignon and Marseille. The service offers UK travellers a more convenient alternative to flying with a seamless, leisurely journey from the heart of London from just £44.50 one-way. 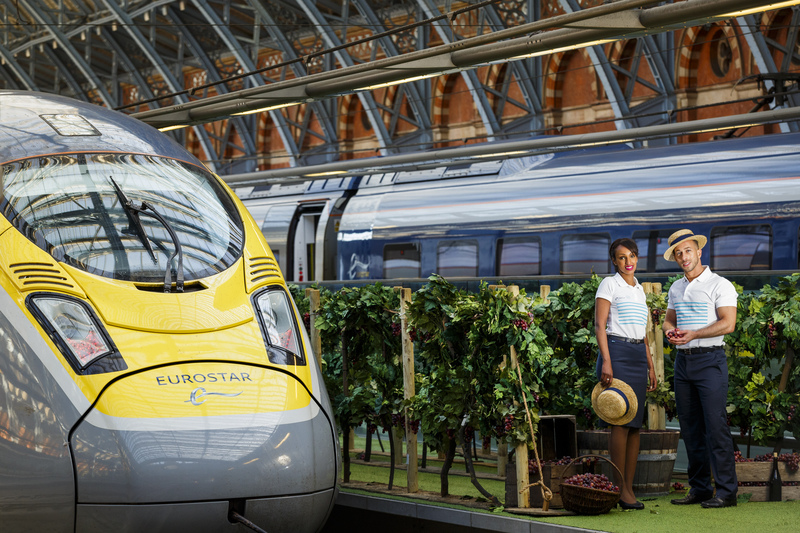 With city-centre to city-centre fares from £44.50 one way, free travel for children under four, free seat selection and a generous luggage allowance with no weight restrictions, Eurostar is ideal for those wanting to bring a bit of Beaujolais back to the UK. Single fares in Standard from only £44.50 to Lyon and £49.50 to Avignon or Marseille direct from London St Pancras or Ashford International. Standard Premier fares from just £89.50 one way to Lyon and £99.50 one way to Avignon and Marseille. With more spacious surroundings and a light meal served at your seat, passengers can enjoy a little bit of luxury on their high-speed rail journey across the French countryside. 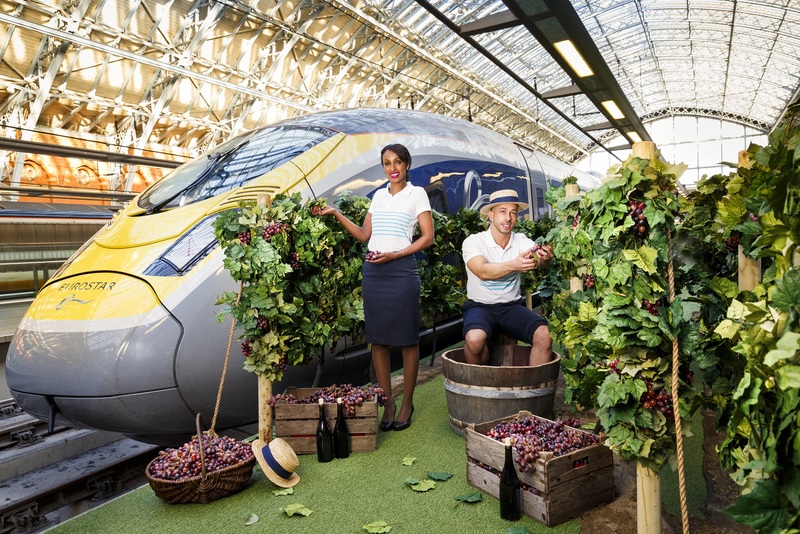 Wine line: Eurostar marks first anniversary of direct South of France train by bringing vineyards to the platform to showcase the wine regions within easy reach of London St Pancras.